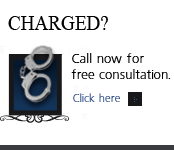 Colorado Drug Prescription Fraud – Can The Doctor Testify Against Me? – In a recent case in Colorado (People v. Moon 2015) – The Colorado Court of Appeals looked at the right of a patient to prevent a doctor – pursuant to the doctor – patient privilege (confidential communications – from testifying against the Defendant or otherwise violating the patient’s right to confidentiality. Here is an analysis of the case – which was held against the right of the patient – now a Defendant charged with prescription fraud LINK – from asserting the privilege and preventing the testimony. The Defendant was charged with criminal attempt to obtain a controlled substance by fraud or deceit, by the forgery or alteration of an order under Colorado criminal law 18-18-415(1)(a). She argued that her doctor’s prescription order – (before she altered it from 6 to 60 pills of Vicodin) – was a “privileged communication” and the doctor could not testify at trial in violation of the doctor-patient privilege. 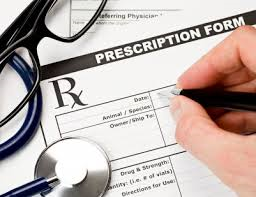 An prescription “Order” is defined in another law – 18-18-102(23)(a), C.R.S. – as a prescription order which authorizes the dispensing of a single drug. “A physician, surgeon, or registered professional nurse . . . shall not be examined without the consent of his or her patient as to any information acquired in attending the patient that was necessary to enable him or her to prescribe or act for the patient.” 13-90-107(1)(d). “…encourag[e] patients to fully disclose medically relevant information to their physicians by reducing the possibility of humiliation or embarrassment through subsequent public disclosure of such information by the physician.” The physician-patient privilege applies to “observations resulting from examination” as well as to actual communications. The party holding a testimonial privilege such as the physician-patient privilege may waive the privilege, either by an express or implied consent to disclose. The party seeking to overcome the claim of privilege has the burden of establishing a waiver. When a communication between a physician and a patient takes place in the presence of a third party, not only may the third person testify as to the communication, but if it is plain that the patient did not intend what was said or done to be confidential, the physician may testify. The privilege of confidentiality follows the “information acquired in attending the patient.” It covers more than just communications or statements made by the patient to medical staff and clearly includes hospital and medical records. A doctor’s prescription order IS obviously a medical record created in the course of treatment and is covered by the physician-patient privilege. So – why did the Trial Court permit the doctor to testify against his patient. The reason – 18-18-415(1)(b). The Trial Court ruled that the prescription order was not privileged because of the following exception to doctor patient privileged communications. If a prescription order is altered in an attempt to obtain a controlled substance by fraud or deceit – it is not privileged. 18-18-415(1)(a). Information communicated to a practitioner in an effort to procure a controlled substance other than for legitimate treatment purposes or unlawfully to procure the administration of any such controlled substance shall not be deemed a privileged communication. ..applies to a doctor’s unaltered prescription order which is a medical record created in the course of treatment. The exception kicks in under the Moon case and now allows statements made by a patient to his or her doctor when that prescription is later used to procure or attempt to procure a controlled substance illegally. If you found any information I have provided on this web page article helpful please click my Plus+1 or the Share button below so that others may also find it. 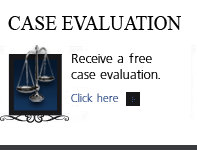 You must make a responsible choice for a Colorado Criminal Defense Lawyer – we encourage you to look at our firm. Over the last 30 plus years – H. Michael has mastered nearly every area of criminal law, procedure and trial and courtroom practice and he is passionate about getting you the best result in your case. He has written, and continues to write, extensively on Colorado criminal law and he hopes this article – – helps you in some small way. 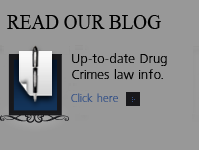 He hopes this article makes your case more understandable to you as regards the topic of this article: Colorado Drug Prescription Fraud – Can The Doctor Testify Against Me? Colorado Drug Prescription Fraud - Can The Doctor Testify Against Me?